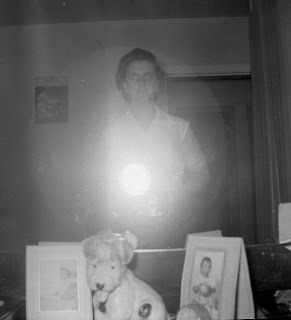 My mother had a Brownie camera long before I was born, you can barely see it in the photo that she took of herself in the mirror. 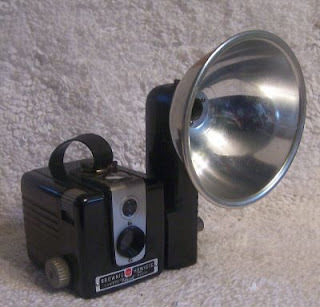 I remember playing with it when I was small, by that time it had no flash and was never used only as a toy. Posted by Karen at 11:46 a.m.
i used to play with an old one of these when i was little. it didn't work anymore...but then i was born in 82.